Die Himmel erzählen die Ehre Gottes (English: The heavens are telling the glory of God), BWV 76, is a church cantata by Johann Sebastian Bach. He composed the church cantata in Leipzig for the second Sunday after Trinity within the liturgical year and first performed it on 6 June 1723. 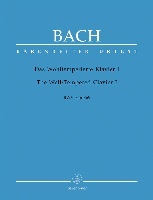 Bach composed the cantata at a decisive turning point in his career. Moving from posts in the service of churches and courts to the town of Leipzig on the first Sunday after Trinity, 30 May 1723, he began the project of composing a new cantata for every occasion of the liturgical year. He began his first annual cycle of cantatas ambitiously with Die Elenden sollen essen, BWV 75, in an unusual layout of 14 movements in two symmetrical parts, to be performed before and after the sermon. Die Himmel erzählen die Ehre Gottes has the same structure. Similar to the opening chorus of BWV 75, Bach sets the psalm in two sections, comparable to a prelude and fugue on a large scale. An instrumental concerto unites the complete "prelude", the trumpet "calls" to tell the glory of God. 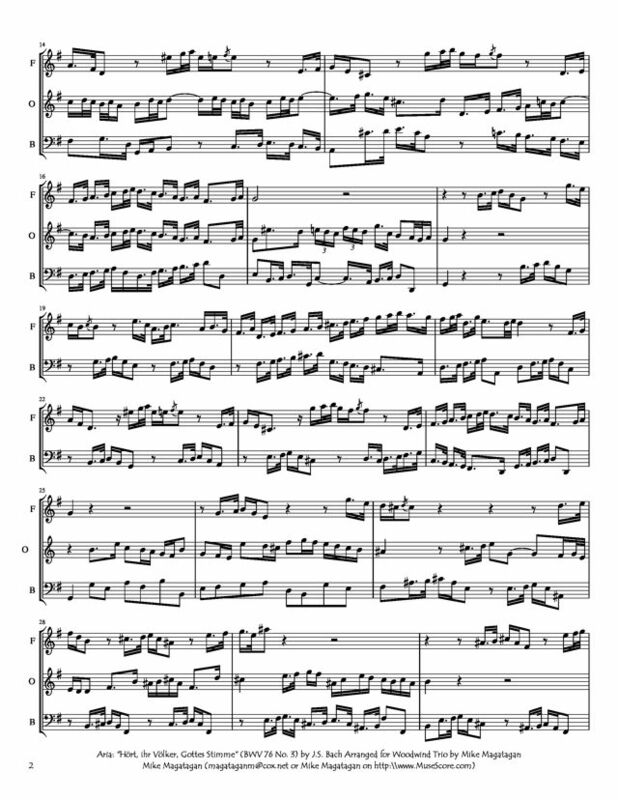 The fugue in C major is a permutation fugue, which develops the subject twice, starting with the voices, up to a triumphal entrance of the trumpet, similar in development to the first chorus of Wir danken dir, Gott, wir danken dir, BWV 29, composed much later and used twice in the Mass in B minor. Joseph Haydn later set the same words, also in C major, in his oratorio The Creation. In the first recitative the strings accompany the voice, most keenly in motifs in the arioso middle section, in Gardiner's words "to evoke the spirit of God moving upon the face of the waters". 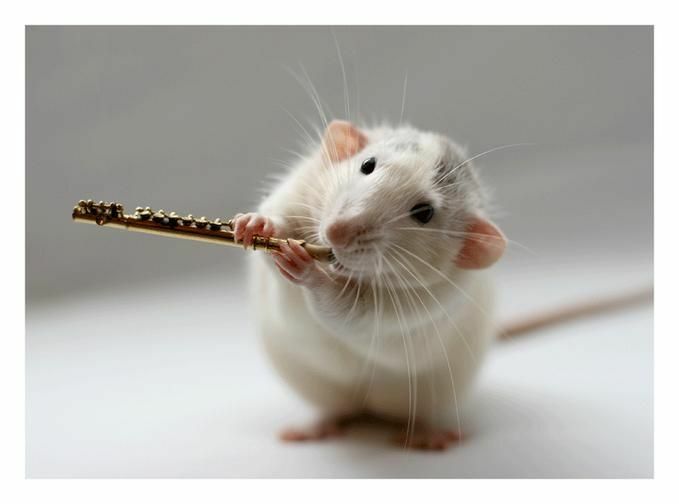 Trumpet and bass voice are used to convey the call "to banish the tribe of idolaters", while the strings possibly illustrate "the hordes of infidels". The last recitative leads in an arioso to the chorale. 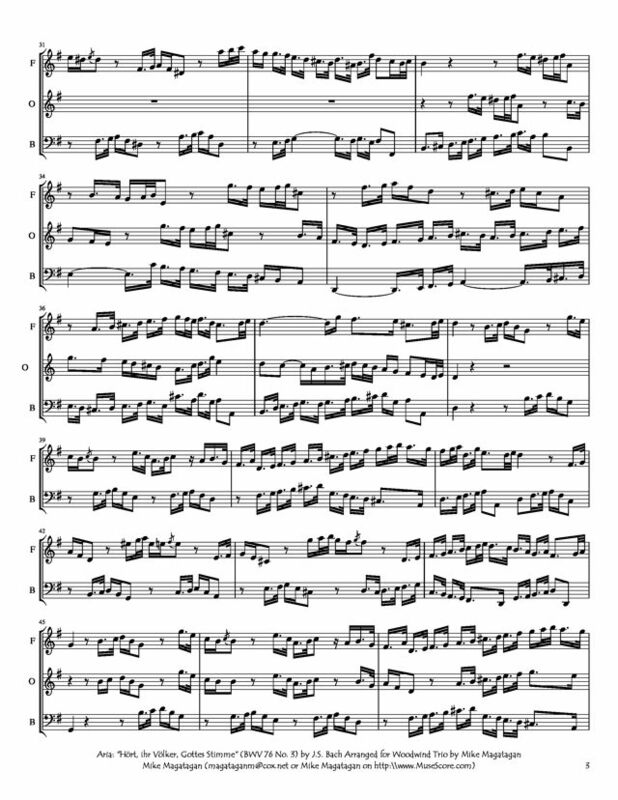 In the chorale, Bach has the violin play an obbligato part to the four-part setting of the voices and separates the lines by interludes, with the trumpet anticipating the line to follow. The continuo plays ostinato a motif which is derived from the first line of the chorale. Whereas Part I begins with a trumpet announcing ("erzählen") God's glory, Part II starts on an intimate chamber music scale with oboe d'amore and viola da gamba, concentrating on "brotherly devotion" (brüderliche Treue). A sinfonia in E minor for these two instruments is reminiscent both of Bach's compositions for the court in Köthen and of a French overture, marked "adagio", then "vivace". Bach used the music of this movement later in his organ trio, BWV 528. Gardiner calls the movement "in effect a sonata da chiesa". The tenor aria illustrates the "masochistic" "Hate me, then, hate me with all your might, o hostile race!" by a first dissonant entry on an ostinato bass line full of chromatic, leaps and interrupting rests. 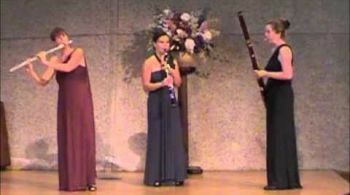 Oboe d'amore and viola da gamba return to accompany the last aria, and "the sombre qualities of both voice and instruments create a feeling of peace and introspection". The music of the closing chorale is identical to that of Part I. 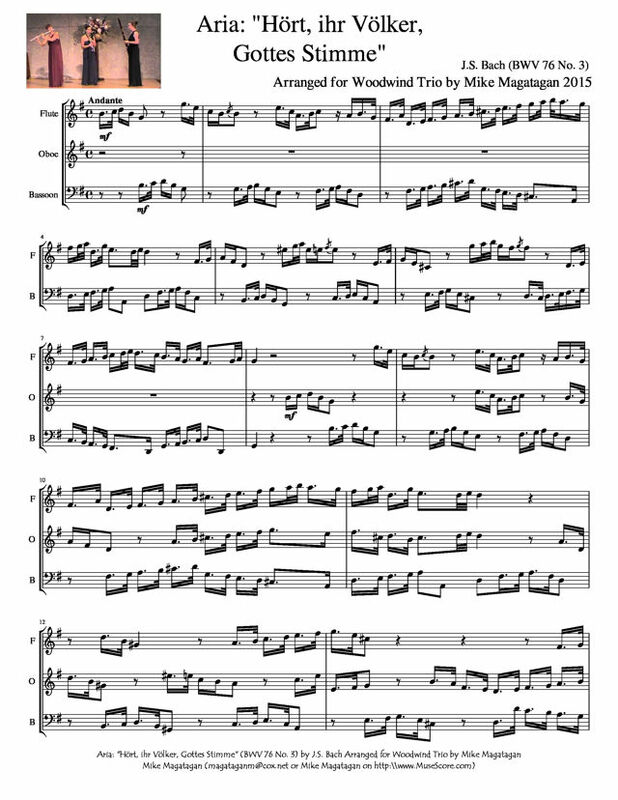 Although originally scored for four vocal soloists—soprano, alto, tenor and bass—a four-part choir, trumpet, two oboes, oboe d'amore, two violins, viola, viola da gamba and continuo, I created this arrangement for Woodwind Trio (Flute, Oboe & Bassoon).